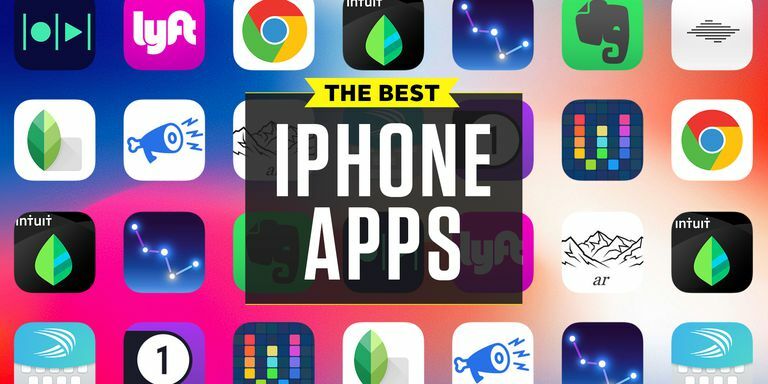 If you’re looking to update your smartphone with a variety of brand new iPhone apps, it’s well worth downloading a few of the top rated iPhone apps listed below! If you want to ensure that you look your best in all of your social media snaps, you may want to consider downloading Facetune, which will eliminate the need to take dozens upon dozens of selfies. As you’ll be able to fix all the flaws in your selfies, with just a few steps. As an example, you’ll be able to use Facetune in order to whiten your teeth and erase any wrinkles which are visible in your photos. If you’re a keen photographer who enjoys using their smartphone to take high-quality photos and love experimenting with different photo editing apps, it’s well worth downloading Enlight. Enlight is one of the latest photograph apps to be released and was designed to harness the full CPU power of Apple’s latest models. While Enlight packs plenty of grunt it also boasts a wide variety of filters and special effects, which you may want to experiment with. If you’re sick of trawling through thrift stores in order to find designer bargains, it’s well worth downloading Poshmark. As if you download Poshmark you’ll be able to search for over 5,000 designer brands, in order to find the perfect leather jacket or pair of heels. If you’re interested in making a bit of extra money, you may want to consider listing any unwanted pieces of designer clothing or branded accessories which have been sitting in your closet or drawers for months. If you love bargains and would love to be able to enjoy half-price meals at your favorite local restaurants and half-priced attractions such as theater shows and horse riding treks, it’s worth downloading Group on today. As every day you’ll be offered a wide variety of exclusive offers, which are well worth taking advantage of. Uptime is a unique app which allows you to watch YouTube videos with your friends. Which will allow you to share comments about the videos which you watch, with your friends in real time. All you need to start using Uptime with your friends is a Google account. Nine is an innovative app which will forever change the way which you take notes. In order to take a note, take a photo and apply tags to each photo. As an example, you may want to take photographs of items which you are interested in purchasing and to tag each photo with the shop each item is located in as well as its price. If you’re constantly running out of smartphone memory, it’s well worth downloading Datally, to see exactly which applications are taking up the bulk of your smart phone’s memory. Or whether your smartphone has too many saved photos, music tracks or movies. So what are you waiting for? It’s well worth downloading all of the apps listed above, which you think will make your life easier and more enjoyable! « 4 Tips To Obtain Happiness And Success!